Use these ten questions from Joshua Harris' book, "Stop Dating the Church," to discover what matters most as you choose a local church. Choosing to be hospitable can be a great blessing not only in your life but as a means of blessing others. We can learn a great deal from other women simply by asking good questions about what God has done in their lives and what they have learned over the years. Become a wise woman who is adept at evaluating what you read, hear, and watch in light of God’s truth. Intercede for your son or daughter's future mate (and marriage) with these prayers. Discover characteristics that all good leaders have in common. You can really do it! Get started with these practical ideas. Do you want to get into the heart of your child? Use these questions as springboards for meaningful discussions. "Next to reading the Bible, singing—to and about the Lord-has probably produced the greatest encouragement in my Christian walk." Take the Bible Reading Challenge to encourage you to dig into the Scripture daily. Cultivate a heart of gratitude and begin your 30-day journey to joy! Build a stronger marriage one day at time as you take Nancy's 30-Day Husband Encouragement Challenge. This challenge is tailor made to encourage you through the demands of motherhood and equip you to be the beautiful mom God wants you to be. A month-long guide to help you know what to pray for your children. The most powerful thing you can do for your husband is pray for him. This daily prayer guide will help you know where to begin. Pastors cannot win the battle alone; they need committed intercessors to lift them in fervent, specific prayer. Be part of his prayer team. Your pastor’s wife needs encouragement, friendship, support, practical help, and most of all, earnest prayer. Be part of her prayer support. Side effects from implementing these principles may include a more joyful outlook, better communication skills, a healthier relationship, a happier home. Take the time to ponder these questions--and you'll live a much more purposeful life in the New Year. We bet one of these thirty-three ideas will be just the spark you’re waiting for ignite interest in true womanhood. Evaluate what you really love with the help of these 40 evidences. These questions will help you determine whether or not you are a proud person. Learn, affirm, and live out the biblical pattern of womanhood for God's glory and your enjoyment. Pastor John Piper's earnest prayer and challenge for women. There is no greater calling than to be marked as His slave—to choose to give my life in the service of the Master. Ten things to remember when you are tempted. Developing the habit of thankfulness may require some practice! Here are some suggestions for devoting one week to practicing thankfulness. This simple acrostic will help you remember the basics as you sit down to study Scripture. If your husband is an unbeliever—or a believer who’s not living what he believes—these ABC’s will help you know how to respond. Abraham Lincoln established the official national holiday of Thanksgiving in 1863 with this plea for a national acknowledgment of God's blessings. Walk through 2 Peter 1:5-7 to apply and personalize some important qualities in your life. For resources to lead your Adorned study. Track Christ’s journey through Blair's True Woman '14 recitation about Jesus, the Christ. A commitment to holiness means having a life that is always “ready for company” and open for inspection. Are you ready? A sophron lifestyle begins with a sophron state of mind—a way of thinking that affects everything about the way we live. Discover how to help your group appropriately share prayer requests. We would all be quick to agree about the need for repentance outside the walls of our churches. But are we as quick to recognize our own need to repent? Delight in the greatest calling possible—serving the Master you've grown to know, love, and trust. All of God’s Word is inspired, which is why we can’t overemphasize the importance of a regular reading plan. Pick one that works for you. Understand and embrace the distinct purpose God created you for with the help of this booklet by Nancy DeMoss Wolgemuth. This creative family devotional plan will provide your family with an unforgettable Thanksgiving holiday together. This creative small group plan corresponds with the "Blessings of Thorns" radio series and CD drama for a meaningful Thanksgiving together. This study will point you toward the only pathway to holiness and genuine revival. Discussion guide for the book "Brokenness." Nancy contrasts characteristics of proud, unbroken people who are resistant to the call of God on their lives with the qualities of revived, humble people. Learn how to develop trust between group members and foster an environment where members can help each other grow. Learn the characteristics of a of a meek and quiet spirit versus those of a rash and fretful one! Do you understand how to reach the generations represented in your group? This chart describes general characteristics for the four major generations today. Check the state of your prayer life with this ten-question quiz. After checking your prayer pulse, you may be in need of some "Prayer CPR." Here are steps to help strengthen your prayer heartbeat. Help your children develop a huge vision of God by reading the biographies of these men and women of the faith. The single greatest hindrance to experiencing personal revival is our unwillingness to humble ourselves. If you want to get even more out of Nancy's "Choosing Forgiveness" book, use these questions to help foster thoughtful discussion. Download this discussion guide to help you lead the women in your church or small group through Choosing Gratitude. Practical ideas you can use to share Christ during the Christmas season. God expects His children to be characterized by these actions. Cultivate the garden of your heart for the One who has chosen you to be His own. Die to pride and self, and experience the resurrection life of the Lord Jesus! Do you know Him personally? If not, this performance from Blair Linne is certain to help whet your appetite for more of Him! How healthy is your speech? Take this quiz to discover areas in which your words fall short of the golden standard. Our world tells us that physical beauty is what matters most. What does God say? Why are parents so reluctant to prevent their daughters from "dressing as harlots"? Break the cycle. Poignant quotes to live by from Donna Otto that will make you think, and will make you a success if you will live by them! A study outline that will help you get all you can out of Nancy's DVD and CD on the life of Elizabeth. Answer key to Elizabeth (Conference Message Outline). In a world where so many people are sad, lonely, and hurting, God wants to use you to communicate His heart and minister grace to others. Every group has those dreaded moments of silence when the members avoid answering a question. Learn helpful comments to help keep the discussion flowing. Learn how to provide a safe bridge to help your members feel comfortable sharing openly and honestly. Fifty creative ideas to help your family have fun without the TV. God's Word identifies the attitudes and actions we are to display toward our spiritual leaders. The outcome of our lives is not determined by what happens to us, but by how we respond to what happens to us. Prayer is a crucial part of your small group time, but it’s often the most neglected. Learn how to develop a prayer ministry for your group. Experience the great freedom and joy of walking in the Truth! Debra Fehsenfeld shares her struggle with the slavery, secrecy, and guilt of bulimia and the process through which God brought her to lasting freedom. Blair Linne did a masterful job summing up the True Woman '14 National Women's Conference on October 11, 2014 in this original recitation. It's true that Scripture never mentions masturbation specifically, but it does speak thoroughly and explicitly about sexuality and sinful lust. Discussion questions for Paul David Tripp's message, "What Makes You Angry?" Embrace the attitude of gratitude and discover that the world looks different through the eyes of thankfulness. A wise leader will think through how to handle difficult situations so if they arise, you will know how you wish to handle it. Motherhood is a very high and holy and crucial calling with little understanding or encouragement from the world. In a world where so many people are sad, lonely, and hurting, we need practical ways to encourage one another. Learn ten practical principles for enduring suffering from 2 Timothy. Do you ever struggle to get anything out of a sermon? Read practical suggestions on how to prepare your heart before you even go to church. Spend time now thinking about how you will handle temptations when they occur. Pray for our nation with the help of these prayer requests. Pray for your local church: pastoral leadership, purity, passion, perseverance. Thinking of starting a small group? Here are some basics to get you started. Learn the foundations of Bible study: observation, interpretation, and application. This in-depth look at inductive Bible study will give you the tools you need to confidently study God’s Word. Have you ever thought about what life would be like if God had never spoken? Thankfully, He has spoken to us through His Word. Verses describing our wonderful Savior—Jesus Christ. There are two ways of responding to life’s hurts and unfair experiences. We can either become a debt collector, or we can choose restoration. Check out these tips on understanding your group dynamics, meeting the needs of your group, and drawing out the best in each individual. How to be discerning, alert, biblical, courageous, prayerful, and proactive in a culture full of conflicting "truths." Are you a single mom? Replace the enemy's lies with God's Truth! Is there a remedy for every unfulfilled longing? Questions that will help you apply the truth in this book to your personal life. In this guide, we’ve gathered practical wisdom and ideas from those who have experienced life-on-life relationships. Nancy walks line by line through the hymn, "Take My Life." Personalize this wonderful text as your prayer to be fully consecrated to Christ. By working to become more like our Lord and Savior, we will be worthy of the full trust of both our earthly husbands and our heavenly Bridegroom. Before you lead a small group, it's good to have a plan for your meetings. Here are some suggestions for what type of schedule to follow. We believe that men and women are equal in value and dignity, but were created with different roles. Wayne Grudem's outline is a great study. Nancy provides five questions to ask as you evaluate your wardrobe, seven choices to make, and six blessings to experience as a result. What happens when a former feminist learns to embrace feminine submission? Use this worksheet designed by Mary Kassian to help you establish what your personal hedges are. How can I know what’s "modest"? "What do you think about bathing suits?" Read Nancy’s answers to these questions and more. Don't know where to start when you study your Bible? Get some ideas from Nancy. Here are some of Nancy's favorite biographies. We must continually be alert to anything that might come between our soul and the Savior. There is a practical application for childless women—namely, to make room for children. Pastor John Piper suggests several areas of ministry where God delights to use women to serve Him and His church. Tried and true ways to help women learn to pray in a group. Words are powerful. Death and life are in the power of the tongue. These practical ideas will help you train your tongue. A study outline that will help you get all you can out of Nancy's "Pathway for Contentment" message. Answer key for Pathway for Contentment (Conference Message Outline). Practical cautions for Christian women to help safeguard our hearts and the marriages of the men around us. Christian growth and spirituality is about the whole person. This plan addresses the body, soul, and spirit. The enemy convinces us that the only way we can be different is if our circumstances change. The truth is they merely reveal what we are. From a daughter's heart, Nancy shares some personal glimpses from her father's life. Do you want to live a life of significance? Let Mary of Nazareth teach you how. A study outline that will help you get all you can out of Nancy's "Potential Pitfalls of Ministry" message. Answer key for Potential Pitfalls of Ministry (Conference Message Outline). Use this helpful guide to lead your small group prayer time. These questions have been designed to help you evaluate whether or not you are meeting God’s conditions for revival. Make this important pledge to God today. What would happen if a remnant of women were willing to embrace God’s priorities and purpose for their lives and live out the beauty and wonder of womanhood? Jonathan Edward understood the importance of being purposeful. Here are 70 resolutions he wrote before he was twenty years old. Included are Bible studies our staff has used. We believe they are solid resources for your group. This study guide will help you get all you can out of Nancy's "Ruth" DVDs and conference CDs. Answer key for the study guide for Nancy's "Ruth" DVDs and conference CDs. A study outline that will help you get all you can out of Nancy's "Satisfying Our Thirst" conference CD. Answer key for Satisfying Our Thirst (Conference Message Outline). Learn how and why it's so important to memorize Scripture! If the verses you memorize never seem to stick, Carrie’s story and a simple tool just might be exactly what you've been looking for. Selected Quotes from "90 Days of God's Goodness"
Prayers by John Piper to use in preparation to reading the Word. Here are some practical ways to maintain sexual purity. Seven principles to help you avoid the potential pitfalls of singleness. As single women, Lydia’s probably never suspected that from her home an entire continent eventually would be affected by the gospel. A covenant serves to avoid unmet expectations and misunderstandings. Excerpts from Charles Spurgeon on the topic of praise. How do small groups get started? We’re glad you asked and we’re here to help with a few tips of our own . . . Hang around Christian singles long enough and you're sure to encounter a certain emotion--frustration. Learn what's to be done. This study could very well be the first step toward a deeper, richer, victorious spiritual life—if you will surrender fully to God. The Bible has a plot, but you can’t get the whole of that story if you just read pieces here and there. Consider reading through it systematically. If you are in a negative communication climate at work, God may use you to change the climate. Ideas to help keep your group engaged in the discussion. Ten undergirding themes from Nancy DeMoss Wolgemuth's life and ministry that will bless your life and ministry! As a leader, you’ll be the one to set the pace for your group. Learn how to build great group unity and strength. You’ll be surprised to discover what is at the heart of so much of people’s gloom, despair, and despondency. A heart of modesty and self-control will bring joy and peace in your life—and will make the gospel believable to others. Read this important statement on biblical manhood and womanhood was prepared by several evangelical leaders at a meeting in 1987. There are some common sense things that are just right. If we really understood what femininity is all about, perhaps the question of roles would take care of itself. Carolyn shares why knowing God and embracing His sovereignty so important when we’re single. Discover the twelve lasting lessons that Nancy DeMoss Wolgemuth learned as a young girl from her father. Men respond to the question: How can women affirm and encourage them to express godly masculinity in the home and church? The Second Coming of Christ is the capstone, the crowning point of Jesus’ life and ministry, the point toward which all history is moving. Take this true/false quiz to discover what you really believe about clothing. A call to prayer for our country from Nancy DeMoss Wolgemuth's 1999 National Day of Prayer speech. God's richest blessings come only through brokenness. Jesus took on our human weaknesses, frailties, and limitations to bring us to God. Truths that impact your wardrobe: ownership (my body belongs to God), lordship (Jesus is Lord over all), and citizenship (I belong to a different Kingdom). There's a delicate balance to achieve as strong female leaders fulfill their God-ordained role in submitting to, yet influencing, male leaders. Whether we "build" or "tear down" our homes, we are influencing a far greater sphere than just those who live within the four walls of our house. Practical advice for everyday living from God's Word. Take this heart check test to help discern your thoughts, motives, and goals regarding beauty. Get resources to lead your True Woman 101 study. Get resources to lead your True Woman 201 study. If you see biblical womanhood as a gift from God, and agree with this True Woman Manifesto, sign it at www.TrueWoman.com. 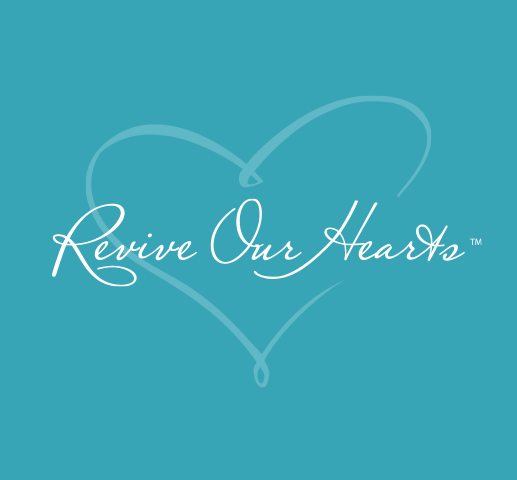 Read excerpts from Nancy's journals as she fasted, prayed, and searched the Scripture for direction leading up to the beginning of Revive Our Hearts radio. Learn the qualities and characteristics that define of a leader, and be encouraged that leadership is process of continual growth. "What's your excuse for not reading the Bible consistently?" Let us offer solutions to some of the most legitimate sounding excuses out there. When you know the purpose of devotions, it helps you to be motivated to stay in the Word. Will you say, "Yes, Lord. I am Your servant. Take me, use me, spend me. Fulfill all Your holy, eternal purposes in and through my life"? Do you have a situation where forgiveness seems impossible? Lorna's story will give you help and hope. One of the greatest ways to help you concentrate and focus is reading the Word with pen in hand. A grateful spirit will radically impact how you view and respond to everything in your life! Compare the world’s philosophy with God’s to discover who and what you’re believing about your worth, purpose, and beauty.